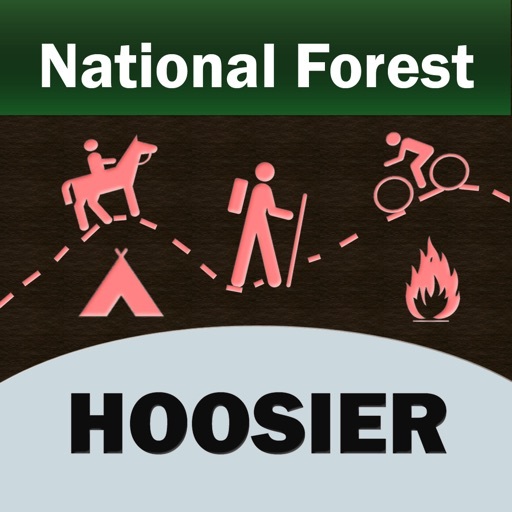 THE ALL NEW ADVANCED NATIONAL FOREST MAPS ARE FOR HIKERS, CAMPERS, ADVENTURE SEEKERS, NATURE LOVERS COMBINED FOR ALL RECREATIONAL ACTIVITIES! NOW IPHONE's, IPHONE X & IPAD PRO's COMPATIBLE! 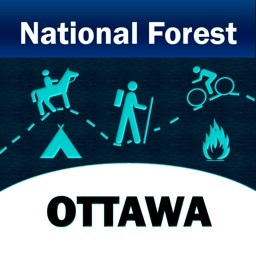 OFFLINE NATIONAL FOREST MAP WITH INTEGRATED POI'S, PLACES & USEFUL MAP FUNCTIONALITY AT SMALL PRICE! 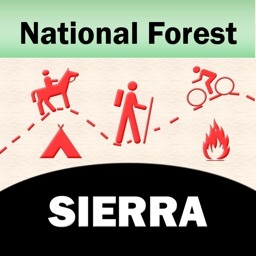 NATIONAL FOREST OFFLINE MAP COMPRISES ALL THE FOREST INFORMATION COLLECTED FROM THE NATIONAL FOREST SERVICE AND RELEVANT SOURCES. 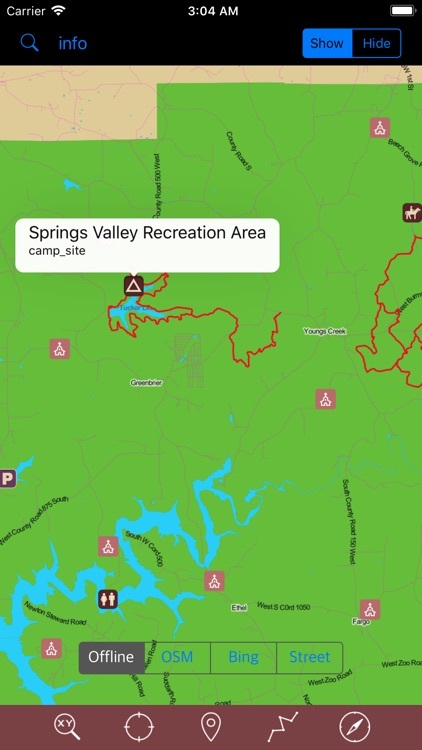 MAP CONTAINS ALL TYPES OF TRAILS, ATTRACTIONS, CAMPGROUNDS, FOOD POINTS, VISITOR CENTRE, PICNIC AREAS, PARKING AREAS, DRINKING WATER, RANGER STATION AND ALL POINT OF INTERESTS AVAILABLE WITHIN THE FOREST COVERAGE. 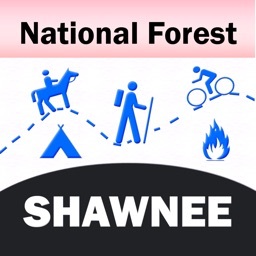 - INCLUDES ALL LAKES, RIVERS, STREAMS, TRAILS! - ALL PARK BOUNDARIES ARE FROM NATIONAL FOREST SERVICE! 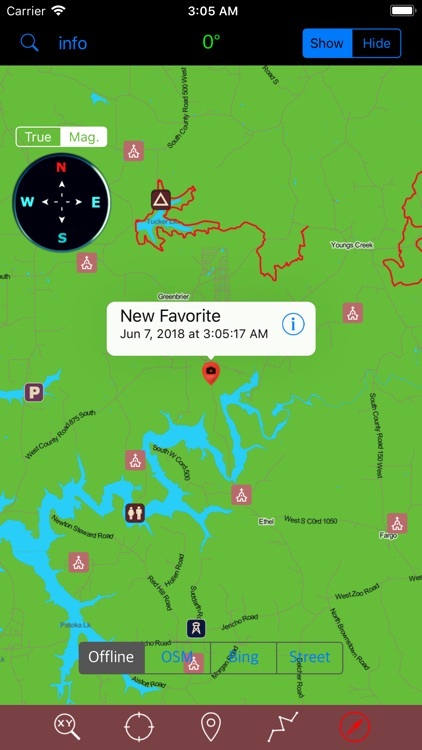 • SEARCH OFFLINE MAP POI's & PLACES WITH OR WITHOUT NETWORK. • OFFLINE CHART OVERLAY DISPLAY, USE THEM AS LONG AS YOU HIKE, BIKE, WALK, CLIMB OR DO ANY ACTIVITY WITHIN THE FOREST. 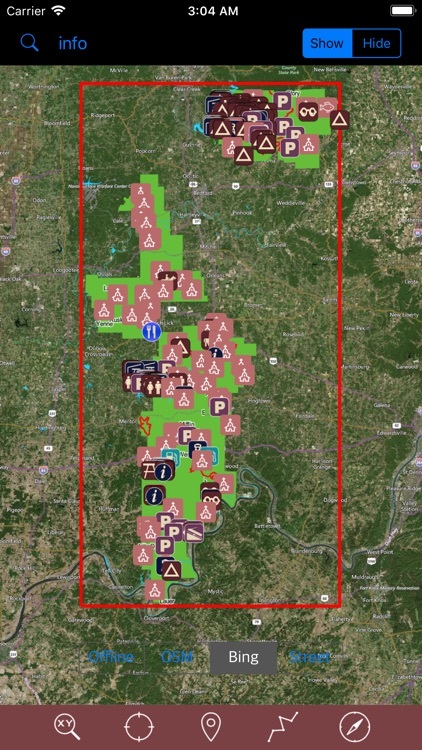 • HIDE AND SHOW CHART OVERLAY TO SEE DIFFERENCE IN SATELLITE OR OTHER MAPS. • INTERACTIVE COMPASS FOR DIRECTIONS. NOW SHOWS OPTIONS (TRUE/MAGNETIC) ABOVE COMPASS ITSELF. AND THE RESULT IS SHOWN ON TOP BAR CENTRE. • INSERT UN-LIMITED FAVOURITE MARKERS ON MAP. THIS VERSION UPDATED TO TAG 3 PHOTOS FOR EXISTING MARKERS AND EMAIL OPTION INCLUDES KML FILE ATTACHMENT FEATURE. • FIND DISTANCES WITH ROUTE TOOL, DRAW ON MAP AND NAVIGATE ALONG THE ROUTE. 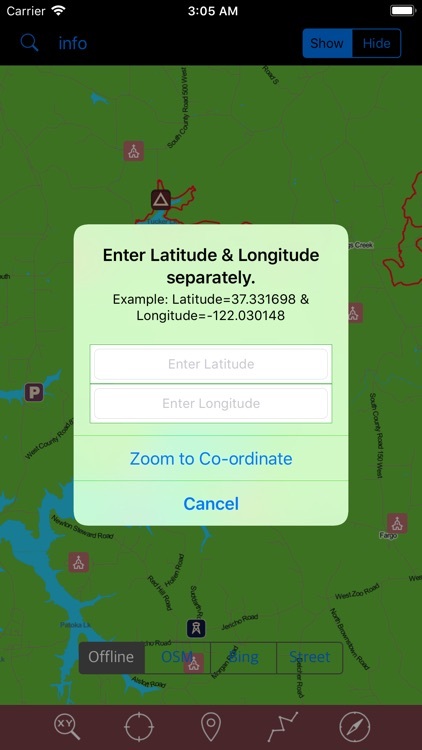 • FIND A PLACE BY USING LATIDUDE & LONGITUDE (CURRENT MAP VERSION SUPPORTS DECIMAL DEGREES (DD) FORMAT ONLY). • LONG-PRESS ON MAP TO GET CO-ORDINATE INFORMATION OF THAT POINT. THIS APP IS MOST ADVANCED WITH ALL THE NECESSARY TOOLS FOR EASY OFFLINE NAVIGATION. 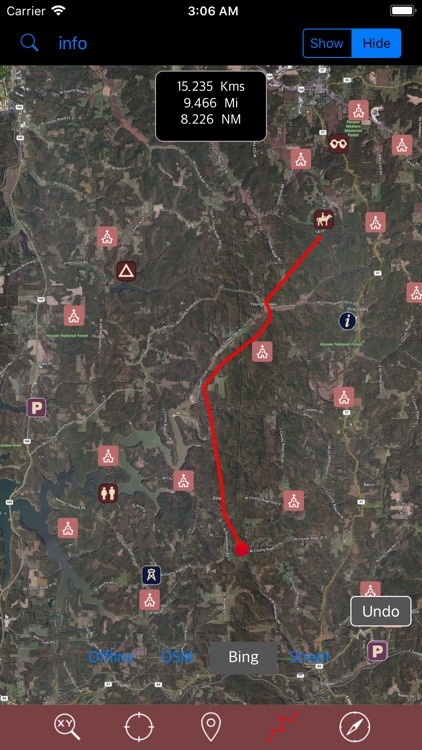 OVERLAY DISPLAY MANAGEMENT ON ALL MAP MODES EITHER ONLINE/OFFLINE IS MORE EASIER FOR HASSLE FREE FOREST TOUR. 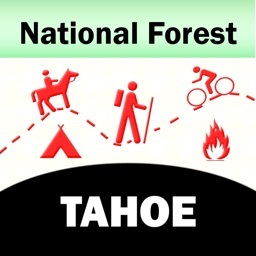 AS THERE WILL BE NO INTERNET IN NATIONAL FORESTS, THE OFFLINE CHART MODE IS FASTER AND CONVENIENT FOR UNINTERRUPTED NAVIGATION. 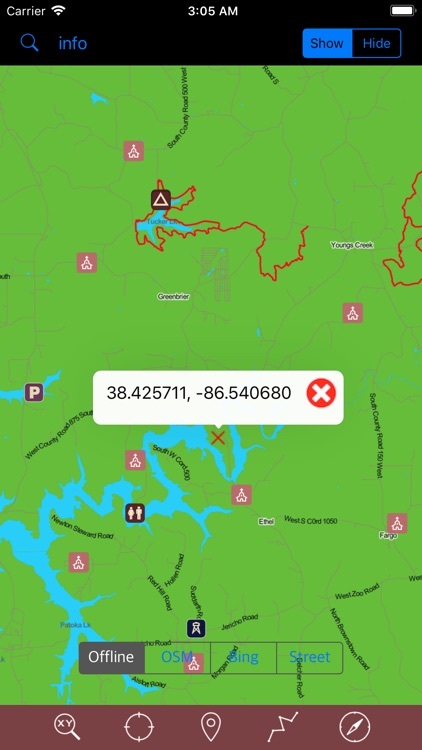 NOTE: All data on map are embedded to match the exact location of features displayed on National Forest Service & reference sources but there may be some difference between the positions of actual objects. HAPPY NATIONAL FOREST RECREATION ALL THE TIME!